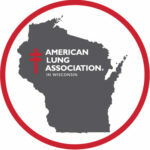 The American Lung Association in Wisconsin is offering free smoking cessation classes for low income resident of public housing. The Lung Association’s Keri Schneider says it’s being offered in advance of a directive from the U.S. Department of Housing and Urban Development directive that will require all public housing in the country to be smoke free by August 1st. In many cases, classes are being held right on the housing authority properties. More classes are being scheduled and will run throughout the remainder of 2018. Facilitators are also being trained to offer the program on-site. You can find out more by calling 262-703-4200.